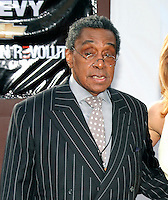 Don Cornelius, the man who created Soul Train, was reportedly found dead Wednesday morning at his Los Angeles home. He was 75. Cornelius created and hosted Soul Train from 1971 to 1993.